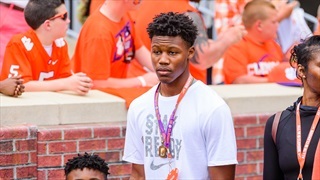 2020 wideout details Clemson visit, "I felt like I was at home"
On an opening weekend against Furman, Clemson still managed to bring in some big prospects to kickoff the season. 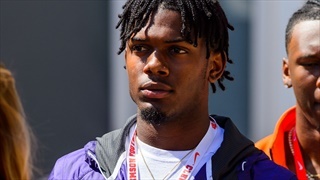 Take a look at some of the recruits who were in Tiger Town for the season opener. 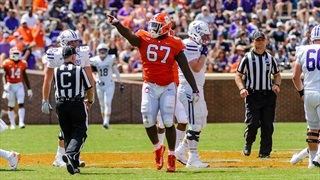 Clemson Sports Talk intern Brandon Stockdale spent time on the field Saturday taking pictures and took in some observations from Clemson's 48-7 over Furman. 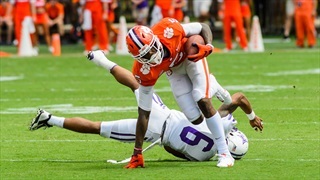 Clemson Sports Talk presents a full photo gallery from the Tigers' 48-7 season-opening victory over Furman. Our intern Brandon was working the sidelines during Clemson's victory over Furman. Here are some of our favorite fan shots. We hope that you will share them on the social media platform of your choice. 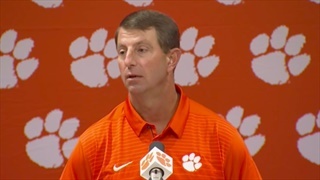 Dabo Swinney didn't see enough on Saturday to make any changes regarding his quarterback plan moving forward. It's going to be fun to watch as these two quarterback gladiators battle it out in primetime. 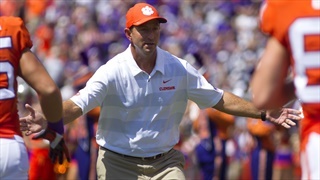 As the Tigers turn their attention to Aggieland, we spoke with Coach Swinney to get the recap on Furman and look ahead to the upcoming game. 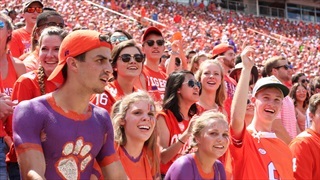 Take a sneak peek into the press box at Clemson to find out what the chatter was about during the Tigers' win over the Paladins. Clemson opened the season with a big win over Furman and here are the offical notes from Tiger Town. 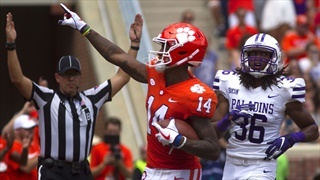 The Clemson Tigers wasted no time showing their talent and ability in the 2018 season, jumping all over Furman 48-7. Give a listen to the postgame conversations following Clemson's 48-7 win over Furman to kickoff the season. 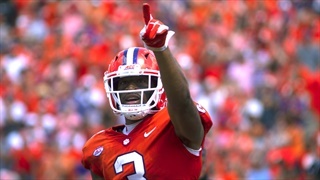 Following Clemson's 48-7 win over Furman, we caught up with several players and coaches. 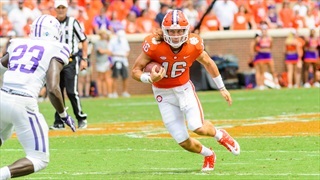 After months of anticipation and grueling workouts, the Tigers hit the field in Death Valley against Furman. Several coaches and players discussed the 48-7 win after the game this afternoon. Saturday afternoon was just the beginning. 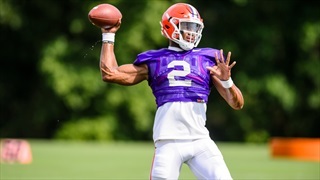 The beginning of a new season, a quarterback battle going public, and the careers of some of the highest anticipated freshmen in program history. 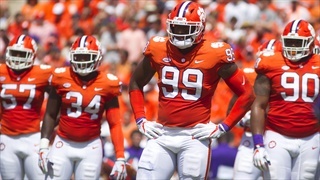 After a long offseason, Clemson's opener was a breath of fresh air with plenty of reason for optimism. 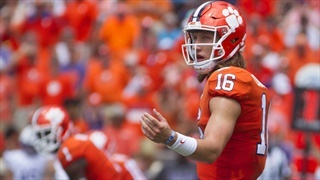 Trevor Lawrence made his debut for the Clemson Tigers in the 2nd quarter in the win against Furman. 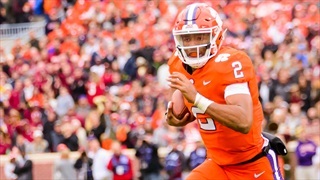 Lawrence led the Tigers to three scoring drives in the first half and finished the game with 137 passing yards and 3 touchdowns. 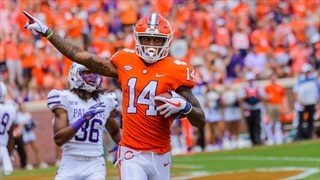 Clemson opened up the 2018 season with a 48-7 win over Furman and the freshmen stole the show throughout the contest. 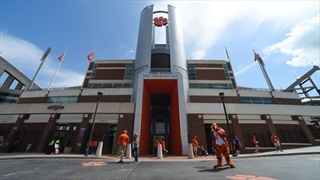 Hang out with fellow Tigers in our live chatroom during today's game between No. 2 Clemson (0-0, 0-0) and Furman (0-0, 0-0). 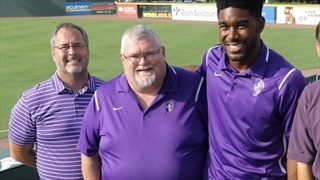 Furman play-by-play man Dan Scott joins us to preview Clemson's matchup with Furman. 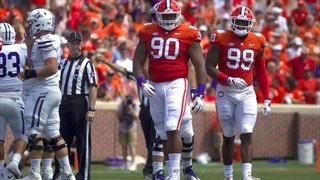 Clemson will have some key prospects on campus when they face Furman on Saturday. 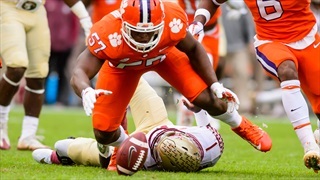 Clemson heads into the season opener with visions of another College Football Playoff visit on their minds.